The western Indian state of Goa has been a football hotbed of the nation for many years now. However, its story hasn't been without its trials and tribulations. There was a time when stadiums could not accommodate large throngs of crowds at a match on a weekday afternoon. Now is the phase where in the Goa Professional League, the state's premier competition, the most prominent crowd in certain games is that in the press gantry. Through the highs and the lows, there is one man who has seen it all. 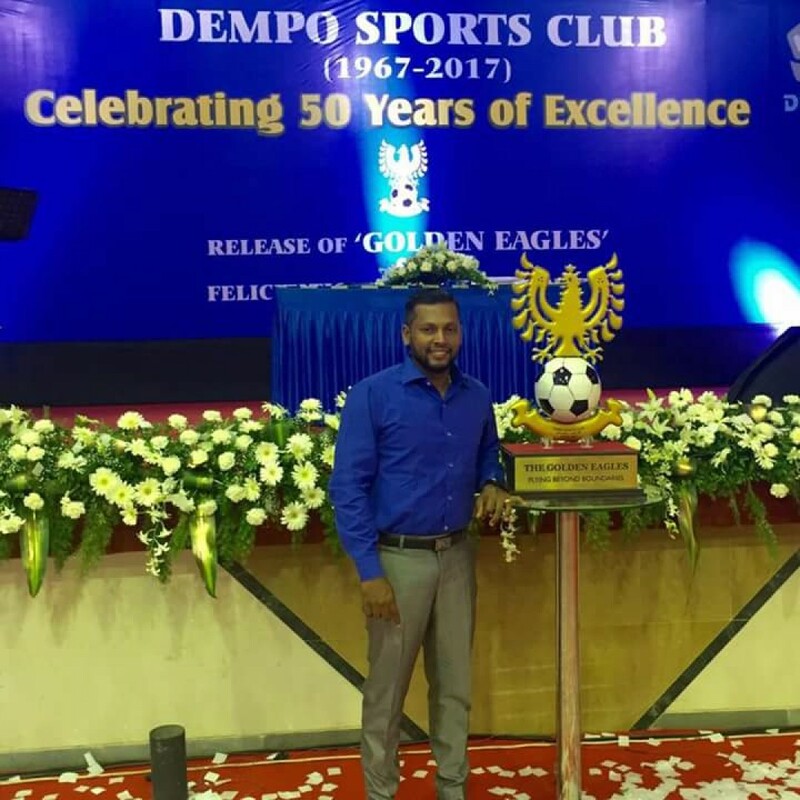 Recognized by many as the club's 'official 12th man' this ardent Dempo Sports Club fan's journey began in 1997 when he was invited to train with the club's U-19 team but couldn't take up the opportunity due to financial reasons. Q: You moved from Kerala to Goa at a very young age. What do you remember of that time? Was it difficult to adapt? A- Moving from Kerala to Goa was just a couple of years after I was born. I was hardly two years old. So it did not make any difference to my growth as a child. Q: Tell us a bit about your family background and childhood? A- My family is a small one including my father, mother and younger brother. I come from a poor family. Things weren't easy for us but hard work always pays off. Q: How were you introduced to football? A- I started playing it and slowly I fell in love with this beautiful game. Q: What role did football play in your life growing up? A- It gave me happiness and most importantly it helped me forget all the problems and to be happy in life. 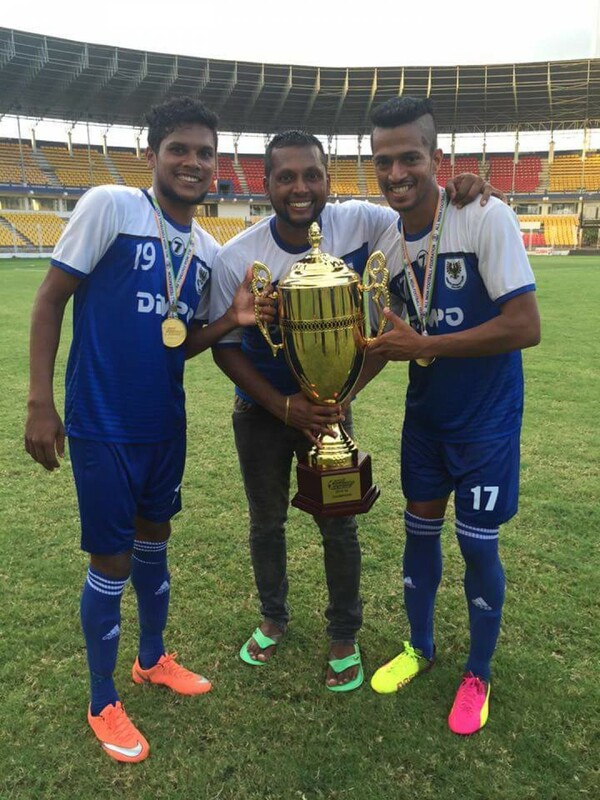 Q: In Goa, there are plenty of clubs but why did you choose Dempo? A- In the year 1997-98 I was selected from the U-19 camp by Dempo but the situation didn't me allow to continue. I had no choice but to support my family as our financial condition was not good. So, later the club I dreamed of playing at, I started to support. Q: What does supporting Dempo mean to you? A- It means everything to me. I really can't express it in words. Actually, I never thought of it because it is part of the life and you never have to think about that which is yours. Q: You have been with the club for some time now. Talk us through some of the memories good and bad? A- There are many good memories like winning I-league titles, reaching the AFC Cup semi-finals but a couple of special memories are winning against Minerva Punjab in an away match in the I-League Second Division in 2016, where I was the only Dempo fan against many Minerva fans. It was a very important result and the best memory was getting promoted back to the top division of Indian football. Losing against Salgaocar and getting relegated in 2015. After spending almost 14 crores on players we had a very good squad. I have watched our team play home and away matches. We did everything except score. Our foreign players failed except Haroon Amiri. The departure of head coach Arthur Papas really hurt. We played much better football but still, we found ourselves on the losing end. Even after dominating Salgaocar in the last match we failed to score. They took chances and scored and we were relegated. Also, losing Cristiano Junior was the saddest day in the history of Dempo. The only Federation Cup we won in December 2004 was doomed and we could not even celebrate. Not only us but the whole country was upset and we were in big pain. He was a champion. Lossing him is the worst moment in our history. Q: The one player who had/has the potential to play overseas? A- Mandar Rao Desai and Mohamed Ali. Both are good in their respective positions. I have seen them playing and practising and I can tell you both are hard-working. They have that potent to play in the better leagues of the world. Q: What is the craziest thing you have done as a fan? A- I still remember that evening. 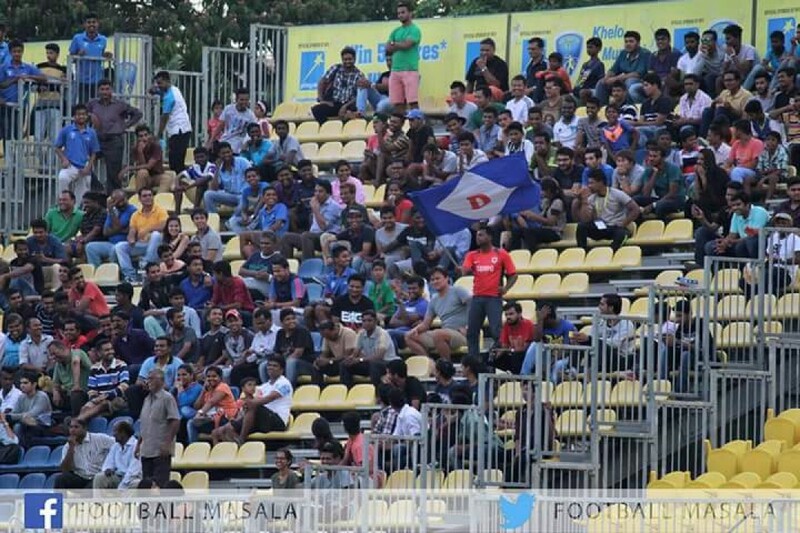 It was an I-League match against Mumbai FC at Duler Stadium and we were trailing 2-1 in 89th minute. We scored an equaliser in the last minute. Next thing I did was, I took off my shirt and started dancing. Q: As a club who has won the title five times how difficult is it to see the club not even in the top flight? How do you motivate yourself as a fan through the tough times? A- It's very difficult but I am a fan who has cheered my club in good times and I will keep supporting them in bad times too. I will go with the club. Q: Where do you see the club in the next three years? 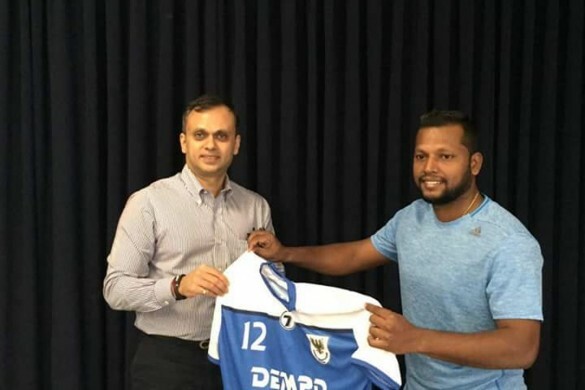 A- Dempo are not playing in the country's top tier and that is a big loss to Indian football but I have hope that one day everything will be in place and we will once again play in the top tier. As of now, we will continue youth development. Q: What is the one thing you think makes Dempo special? A- The owner of the club Srinivas Dempo. He has maintained the standard of the club. When we were in the I-league, almost every player from the country wanted to join Dempo. He has followed his ethics. Players are always very happy with the club. Q: What are your thoughts on the national team and the progress they have made now ranked in the top 100? A- The national team at a world rank of 96??? it's just a technicality. I don't think I need to explain this now because every true Indian fan knows about it. They have just played some friendlies and reached here. Tell me, one big team, they have defeated in recent times? Nepal? But some 'just born fans' will disagree with me and say that because of that 'one league' (Indian Super League) we are in the top 100. 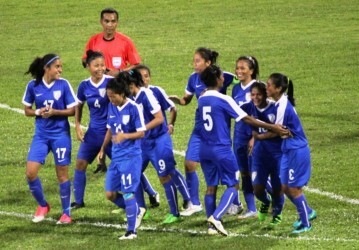 It was all a strategic plan by the Federation (AIFF) to gain maximum points and reach the highest possible position. I am very afraid and it's a big concern for Indian football. My question is, are we going in the right direction? Do you think Indian football is in the right hands? I don't think so. Q: Any Dempo players who can play for India in the coming years? A- Yes Mohamed Ali. He deserves national duty. He is the only player who performs every match and gives his best. Q: Can India qualify for the World Cup in 2026? A- If the same thing continues I don't think it is possible in the next 50 years. The real test will begin if they qualify for the Asian Cup 2019. Let's see how many matches we win there. It's not that I am not supporting my nation but the federation is just playing with fans' emotions. Q: Lastly, we heard you recently got married. Congratulations. Does your better half share your passion for football and Dempo? A- Yes, she has a passion for football, but not for Dempo. But, she is a big fan of me (jokingly) and that is a big relief for me to continue my passion for football.